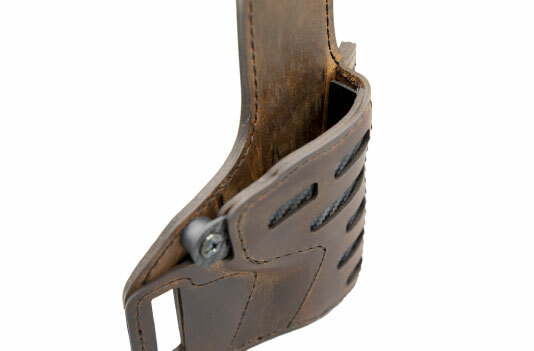 Unlike the other hybrid holsters on the market, we have taken ours one step further. 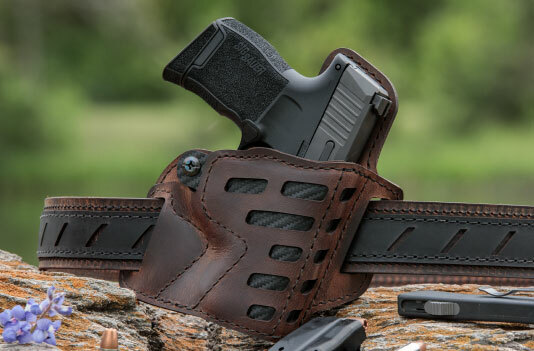 Our Kydex has been sewn between the leather so that it does not come in contact with your handgun, yet while still giving all of the high rigidity that a Kydex holster can offer. 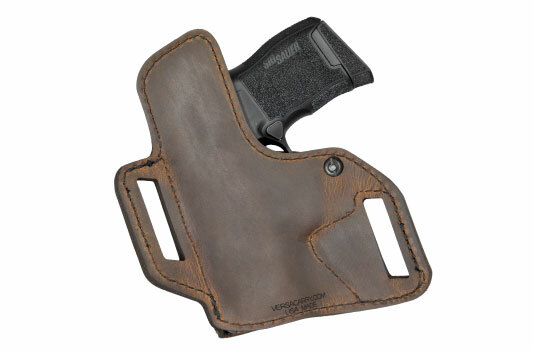 Engineered with Kydex inlaid in-between leather layers to be not only non-collapsible, but more rigid. 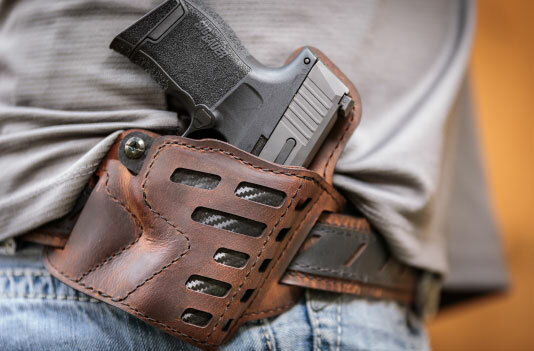 This added layer will never come in contact with your gun. 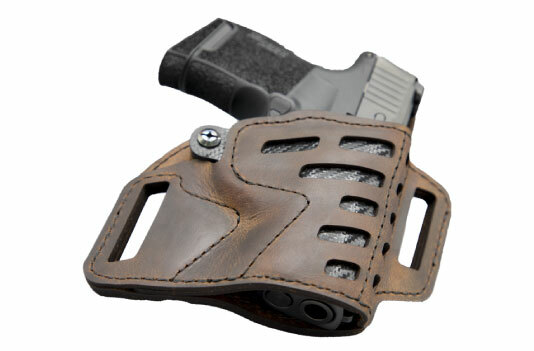 From the Kydex embedded into the leather, we have left a recessed portion that will keep your front sight from snagging while you draw.